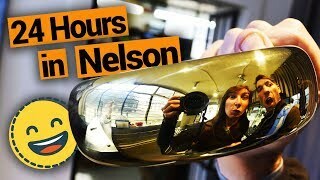 Things you can’t miss in Nelson! Surrounded by three national parks, Nelson has an overwhelming choice of things to do! When you’re visiting New Zealand’s sunniest city, what are the must-dos? We’ll go through the Nelson must-dos right here in this article! While there are many things to do even right in Nelson city, not many of us have the time (or budget) to do it all. With that in mind, we’ve put together this concise list of 10 must dos in Nelson. 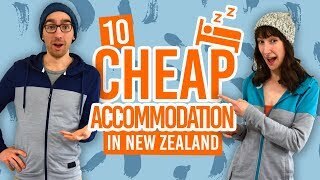 However, we still recommend staying awhile to make the most of the Nelson area, so take a look at some of these Nelson backpacker hostels to save money while you’re here. Not only is walking to the Centre of New Zealand a must-do, but it should be the first thing you do in Nelson! We admit, the fact that it’s the “Centre of New Zealand” is not the most exciting aspect. However, the views from there makes it definitely worth a visit! It’s a great place to get some perspective of Nelson City and the surrounding region. The walk is steep but only takes around 15 minutes to complete. 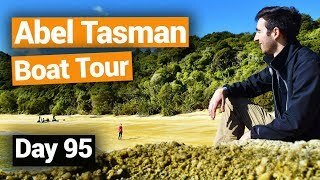 The Abel Tasman National Park might be New Zealand’s smallest national park, but with it’s pristine golden sand beaches backed by native bush, it’s kind of a big deal. Trips from Nelson to the Abel Tasman National Park depart daily, whether it’s to kayak along its shores or hike some or all of the Abel Tasman Coastal Track Great Walk. Learn more about what to do in Abel Tasman in 10 Amazing Things to Do in the Abel Tasman National Park. Location: Abel Tasman National Park, 64km from Nelson. Part of the New Zealand Cycle Trail, The Great Taste Trail can be enjoyed as a single or multi-day ride along the coast and farmlands of the Nelson region. As the name suggests, there are plenty of reasons for stops along the way, tasting the local food and drink in cellar doors, breweries, orchards and many eateries. The complete trail is 175km starting and ending in Nelson city. For more information, head to Mountain Biking in Nelson Tasman. Location: Nelson Tasman region. Transport and bike rentals can be organised with Trail Journeys. For something slightly more adventurous but easily accessible from Nelson city, try the Dun Mountain Trail. Either walk or bike this well-graded trail in the mountains that forms the backdrop of Nelson city. As only a 3-hour return, the walk can be completed in half a day giving you plenty of time to try more of our Nelson must-dos! Location: Start from Brook Street, Nelson city. Helicopter flights to the Dun Mountain can also be arranged with Reid Helicopters Nelson. If you have your own transport, then don’t miss out on exploring the Nelson Lakes National Park! This national park is a hub for beautiful native forest hikes and tranquil lakes. 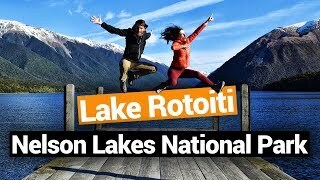 The most accessible lake is Lake Rotoiti featuring a campsite and a few short walks in the area. However, if you fancy getting off the beaten track, we recommend Lake Rotoroa for something a little quieter and with some fantastic hikes to check out. Location: Lake Rotoiti, State Highway 63. 88km from Nelson. If you haven’t had the chance to see some of New Zealand’s rare and fascinating wildlife yet then the Brook Waimarama Sanctuary is an awesome opportunity to do so! See bellbirds, fantails, kiwi, blue duck, New Zealand robins, native reptiles and bats in this sanctuary protected by a predator proof fence. That way, native wildlife have less threats from introduced predators and have a chance to thrive! Walk through Nelson, or what Nelson would have looked like, during the years of the early European settlers around 100 years ago. Founders Heritage Park is a mock-up of a pioneer village complete with exhibitions and even still functioning shops and bakeries. What’s more, the site is also home to Founder’s Brewery so you can try some craft beer while you’re there. Location: 87 Atawhai Drive, Nelson. It’s the locals’ favourite beach in the Nelson city area! Tahunanui Beach is not only a pleasant setting for a stroll with views of the Southern Alps beyond, the beach also captures some sensational sunsets! Location: Tahunanui Beach, just off State Highway 6 when heading south. Food and drink is kind of big deal in Nelson. The city is surrounded by vineyards, orchards and is home to passionate chefs, winemakers, brewers and more! Check out our recommendations for Nelson wineries, Nelson breweries, and affordable yet delicious Nelson eateries. Cable Bay is only a 10-minute drive from Nelson city, yet an awesome city escape for walking, horse riding, cafes and even snorkelling. Take the 3-hour one way trail that follows the stunning coast of Cable Bay or snorkel in the Ataata Point which is part of the Horoirangi Marine Reserve. Alternatively, horse riding tours are available in the area. Location: You can start the walk from either Cable Bay, 21km out of Nelson on State Highway 6, or Glenduan Bay, 12km out of Nelson on State Highway 6.